It's been a while since I posted my nail polish color, so I'm not sure this can be called "Weekly" anymore, but here goes regardless. New favorite color alert! 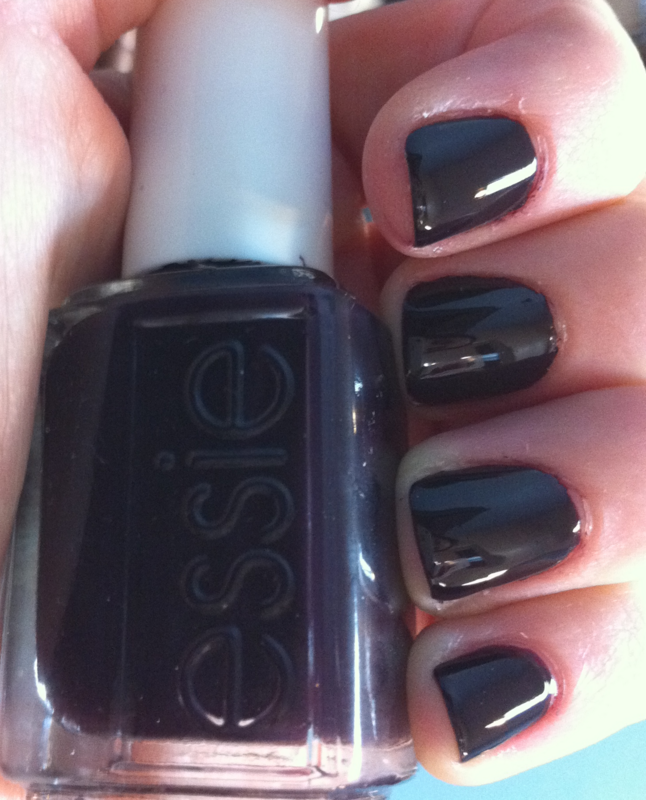 Wore Luxedo by Essie to brunch this morning and got tons of compliments on it. Apparently, all my friends had been wearing this one for a while and I'm the last to hear about it! It's from the Winter 2010 Collection and its a deep, deep plum shade... almost black, actually. But the plum tones make it much less harsh than a black polish. Definitely going to add this one to the rotation. Any other colors I should try?